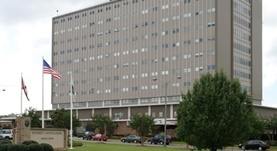 Dr. Barry Mullins is known as a radiologist in Mobile, Alabama. He got his medical degree from University of South Alabama College of Medicine. Dr. Mullins completed a residency in radiology and also an internship at University of South Alabama. He in certified in diagnostic radiology and has an experience of 10 years. Currently Dr. Barry Mullins is affiliated with University of South Alabama Medical Center.